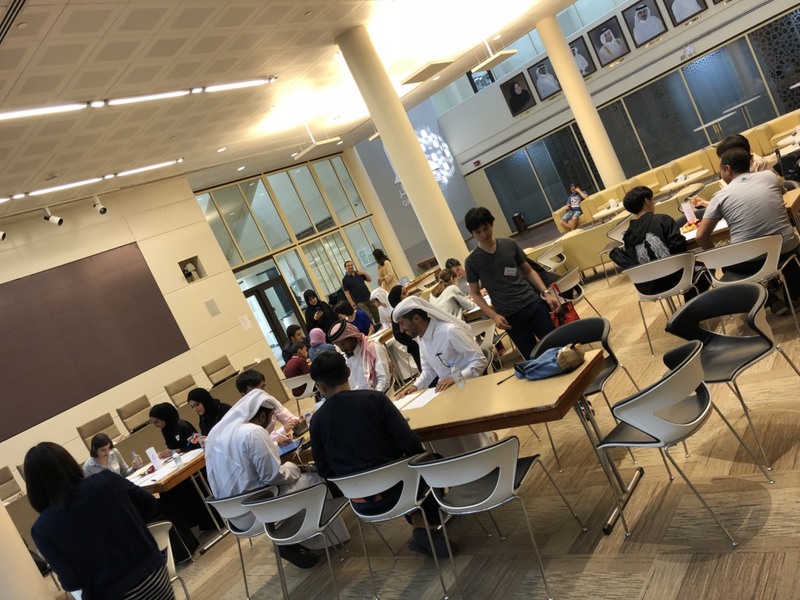 ‘Let’s speak Japanese’ event was held in Qatar Universityon 21st APR 2018.
, a total 21 people participated in the event (12 adultsand 9 students). 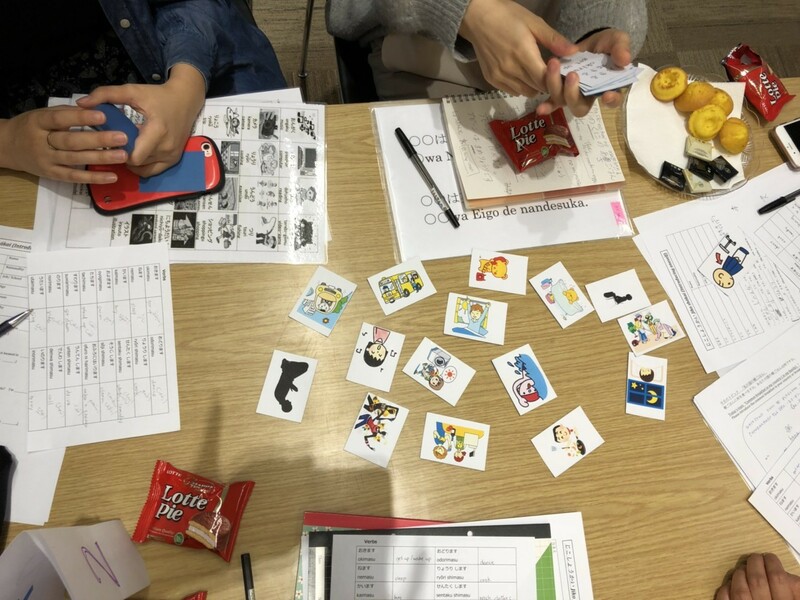 There were 13 Japanese volunteers this day and 2volunteers were in charge of 5 or 6 students at each table to teach Japanese. For about 2 hours we had good conversation in Japanesewith participants so we believe that they had meaningful time and goodexperience. their own style’s breakfast orBreakfast their family usually have. 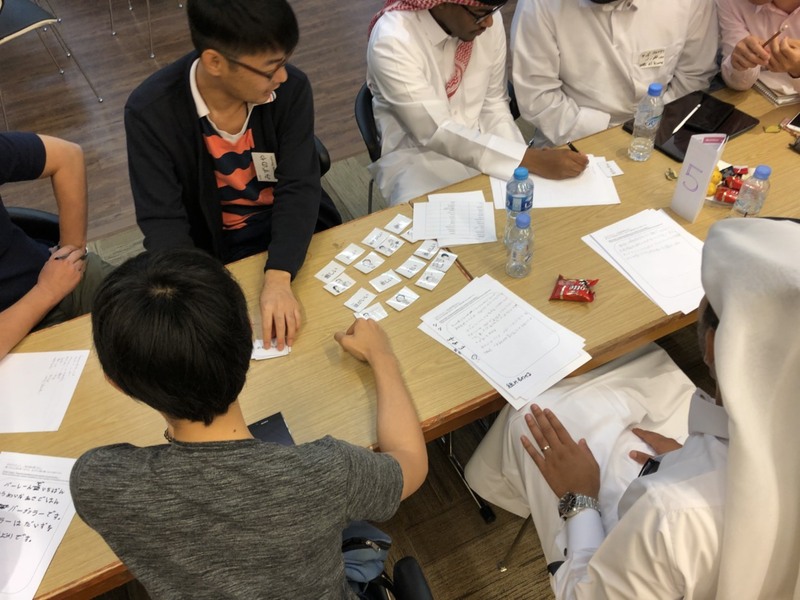 table had different type of word class’s cards likeNoun, Verb and Adjective. through hearing words and seeingpictures on the cards.